Thetis at Vulcan’s workshop, watching him forge Achilles’ new armor. 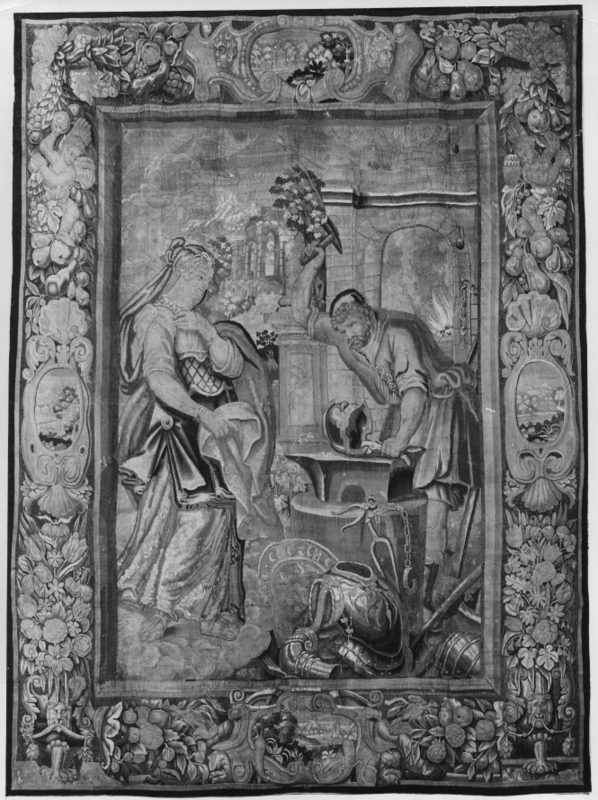 Flemish tapestry from Brussels by unknown tapestry artist, ca. 1625-1650.